Sushil was attending 10th standard at the school in his village, when his parents decided to move to a city. They had found seasonal work in a brick kiln there. Sushil’s only option was to move to the kiln site and work alongside his parents. He had given up hopes of completing high school education, when he realised that other child labourers at the kiln were going to a ‘classroom’ located within the site. This learning centre was set up by Aide et Action, an NGO that works for the education of migrant children. Sushil attended classes there, and later, the centre manager persuaded his parents to let him return to his village to write his 10th standard exams. Sushil’s parents agreed, and he scored 67% in the exams. If he’d not been lucky enough to find the learning centre, Sushil would have ended up like the millions of migrant children in India who drop out of school due to the compulsion of their circumstances. Migrant children remain highly neglected, so much so that there is little official data about them. As per the 2011 Census, there are 453 million internal migrants in India overall, i.e., over one-third of the population. Within the internal migrant population, the number of seasonal migrants would total about 100 million, various studies estimate. ‘Social inclusion of internal migrants in India’, a UNESCO report of 2013, cites that the number of migrant children is estimated to be 15 million. These children exist, almost invisible, in all cities. Take a look at the large apartment complexes coming up in your neighbourhood and the hordes of men and women providing labour for these projects. Or the evidently non-native staff working as security guards in establishments, in roadside restaurants or in domestic work. Where do they and their children live? Where do their children study and play? Every year, millions of citizens move across state borders, looking out for work. A majority of these migrants come from the poorest states in the country – Bihar, UP etc., and move to affluent ones like Delhi and Karnataka. Large numbers of people also move to cities within their home states in search of work. But their movement is rarely linear or long lasting – as opportunities in one city dry up, they drift to another for livelihood. If they are marginal farmers or agricultural labourers, they return from the city to their hometown, once the agricultural season starts. 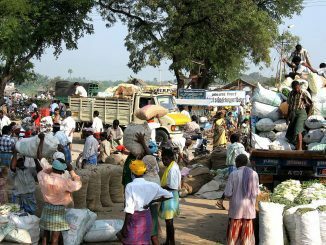 During crises like natural disasters or unforeseen events such as the recent demonetisation drive, they often quit work and return to their hometowns. Such temporary or seasonal migration forms a large proportion of internal migration in India. Seasonal migrants usually come from deprived backgrounds, and are more likely to take up informal low-paying jobs in construction, domestic work, hotels etc. They often live in slums, pavements and worksites. Their young children frequently drop out or never even start school, as they shift from place to place. UNESCO’s Global Education Monitoring (GEM) report 2019 points out that most countries including India are a long way from guaranteeing education for migrant children. A 2013 survey by the NGO Aide et Action and Bernard van Leer Foundation, had found that 80% among migrant children living in worksites don’t go to school. The survey was held among 3500 migrant households across seven cities – Delhi, Chennai, Hyderabad, Jaipur, Guwahati, Patna and Bhopal. 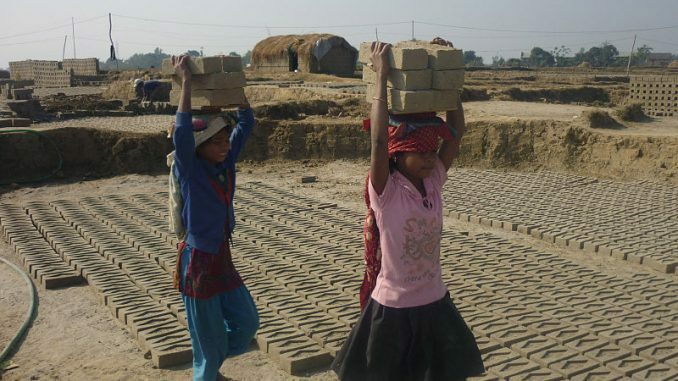 The study also found 40% of the children working in hazardous occupations like construction and stone crushing. 90% were excluded from benefits available under the government’s Integrated Child Development Services scheme (ICDS). The GEM report cites another study which found that only 55% of children in Delhi’s slums attended primary school. In comparison, 90% children attended primary school in the city as a whole. As per the 2013 UNESCO report, migrant children drop out because the academic year overlaps with the seasonal migration cycle from November to June. Because of this, children who enrol in school in their hometowns in June, tend to drop out by start of the migration season in November. If the child enrols in a different school in her host city, she may have learning difficulties because of differences in curriculum and language. Add to this, requirements like Aadhaar or residence proof for enrolment. Teachers at Malayidam Thuruth LP School, near Kochi, faced a stiff hurdle over the last few years, when they tried to enrol migrant children from Orissa into the school. Even though Aadhaar was not legally mandated for school admissions, the authorities insisted on it as the students had no other identity proof. However, already facing low enrolment in the school, the teachers – with the support of a proactive Head Mistress – painstakingly got Aadhaar cards made for the children to secure their admissions. But instances where migrant children receive such support from government school teachers are rare. Most commonly, they face apathy and even mistreatment due to stereotypes about them. Even at Malayidam Thuruth School, two teachers quit, citing difficulties in teaching the newly-enrolled migrant children. In these circumstances, the migrant child rarely enrols in a school in her host city. But if she tries to re-enrol in the previous school in her hometown after migration season, she would mostly be readmitted in the same class as she’d missed much of school that year. Migrant children who are more vulnerable because of their gender or disability are even less likely to attend school. Unaccompanied migrant children are more likely to be pushed into hazardous work and exploited. Even if seasonal migrants leave behind children in their hometowns, the children’s education attainment is affected, finds a 2018 study. In 2013, nearly 11 million children aged 6-14 years were living with a seasonal migrant in a rural household. The study looked at the youth aged 15-19 years living in these households, and found that 28% of them were illiterate or had not completed primary school. In addition to migration, children who are displaced by mega projects and not rehabilitated properly, also tend to miss school. For example, for the Sabarmati Riverfront project in Ahmedabad, many families were moved to BSUP (Basic Services for Urban Poor) housing far away. After this, children in these families had to spend more time and money commuting to school; transport links to their school were poor too. A 2015 study among these children found that 18% had dropped out of school, and another 11% lost school attendance. Why can’t the RTE Act or Sarva Shiksha Abhiyan help? India has had multiple programmes to improve accessibility to schools. The RTE Act of 2009 mandates local authorities to admit migrant children to schools. RTE national guidelines recommend flexible admission, seasonal hostels, mobile education volunteers, better coordination between sending and receiving states etc to promote migrant children’s schooling. Sarva Shiksha Abhiyan (SSA) and National Commission for Protection of Child Rights (NCPCR) have guidelines to make education accessible to migrant children at their destination. ICDS is mandated to cover migrant children in urban areas. But in practice, very few states have proactively facilitated migrant children’s schooling, and only at a small scale where it has. The GEM report points out that most interventions are aimed at retaining children in their home communities rather than supporting children who migrate. For example, Maharashtra government facilitates after-school psychosocial support to left-behind children. Gujarat government supports seasonal hostels where children can stay to continue their studies uninterrupted, when parents migrate. But some states have programmes to support incoming migrant children too. For example, Tamil Nadu gives textbooks in other languages to migrant children. ‘The world of urban children in India’, a report by PwC and the NGO Save The Children, points out that India’s education programmes are still geared towards rural rather than urban areas. For example, DPEP (District Primary Education Programme) and SSA encouraged decentralisation and community participation based on the idea of village structures. These programmes didn’t consider that weak social networks in urban areas would make it difficult for the community to form something akin to the village education committee. The report says that, as per the 2011 Census, India’s child population in urban areas grew by nearly 13% between 2001 and 2011, but school enrolment and the number of educational facilities/teachers did not increase proportionately. Moreover, triangulating Census data with the 7th and 8th All India Educational Surveys, the report points out that urban government schools are no better when compared to rural ones. The proportion of schools that don’t have an SMC (School Management Committee), or are operating without a regular headmaster, or those that didn’t get School Development Grants were much higher in urban than rural areas. Also, in urban schools, fewer teachers got in-service training, and teachers spent more working days on non-teaching duties, compared to rural schools. The report says that the under-serving of urban areas is very evident in the case of early childhood education (ECE) too. ECE prepares children for school, and studies show that children who get ECE are more likely to complete school later. But very few families benefit from ICDS centres as these are concentrated in rural areas. Currently, there is little tracking of migrating children or data on their education status. In host cities, teachers are not equipped to handle children who speak a different language and need psychosocial support. The GEM report recommends accelerated education programmes for migrant children who drop out but want to re-enter at the appropriate grade, bridging programmes for children transitioning to a new language, greater investment in teacher education with respect to migration etc. Government benefits should be ensured to seasonal migrants too, which would increase the likelihood of children attending school, says the report. The 2013 UNESCO report recommends tracking migrant children by issuing migratory cards, appointing educational volunteers who can move with the migrating families, and making school calendars flexible. 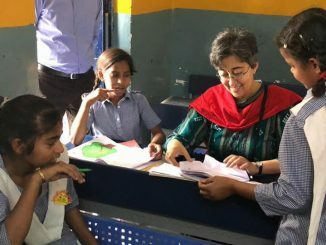 Atishi Marlena, formerly advisor to the Deputy Chief Minister and Education Minister in Delhi, is often credited with having created a revolution in the capital city’s government schools. In this exclusive interview, she talks of the journey and her future plans as a parliamentarian, if elected. 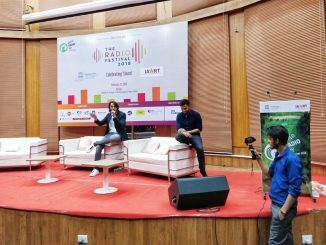 The festival brought together experts from various tiers of the radio world and discussed diverse topics through panel discussions, comic shows, musical programmes and story sessions.